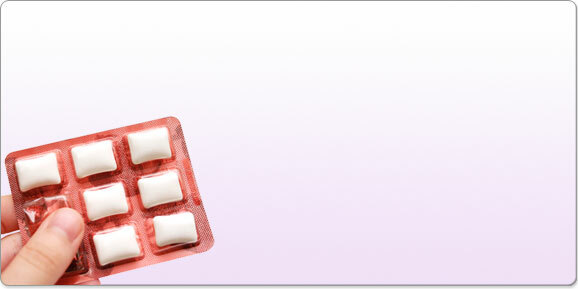 With xylitol in chewing gum ,you should look for gum with at least .7 gm of xylitol per piece. If the gramme dosage is not listed, look at the ingredients and make sure xylitol is one of the first 2, or else it probably isn’t in a high enough concentration to be therapeutic. The other consideration is the amount and frequency per day. See the study below which outlines these recommendations. Until recently, no prospective studies to determine the dose-response or frequency-response of xylitol use had been conducted. However, researchers from the University of Washington in the USA have undertaken a series of studies in order to potentially substantiate these responses on mutans streptococci (MC) prevalence and possible reductions with xylitol. In one study the efficacious dosage of xylitol was researched, and this study concluded that MS levels were reduced with increasing doses of xylitol1. The effect levelled off between 6.88g and 10.32g/day and although the smallest dose (2.44g/day) showed a reduction this was not statistically significant. In the second study the participants consumed 10.32g/day (the higher levelling off amount from the previous study) of xylitol divided into 2, 3 or 4 administrations/day. After five weeks' consumption of xylitol there were no significant differences in SM levels in either plaque or unstimulated saliva in groups consuming xylitol twice per day. However, significant differences were displayed in the groups consuming 10.32g xylitol over three and four administrations /day2. These results confirm previous suggestions regarding xylitol dosage and frequency of consumption. A dose range of 6 to 10g divided into at least 3 consumption periods / day is necessary for xylitol to be effective with chewing gum as the delivery system.